Well – educated information technology (IT) professionals are in great demand both in India and overseas. A diverse range of careers is available to graduates from UIET’s courses in Computer Sciences and Information Technology. Many pursue careers as system analysts, IT Managers, software Engineers or consultants, while others use their degree as a springboard to splash into a wide range of jobs in commerce, industry and public sector. This course aims to meet the increasing need for engineers who can contribute to both the hardware and software design and electronic system. UIET graduates now work in areas including computer networks, embedded system, digital control systems for automobiles, telecommunications and cable TV systems, video games hardware, microprocessor chip design and multimedia, only to name a few. UIET has particularly strong links with professionals in the IT industry and the courses offered have a strong professional orientation. Through “Education Plus” the courses are updated and/or supplemented at regular interval to ensure that they remain relevant and continue to meet current needs and anticipate the future requirements of industry and commerce. 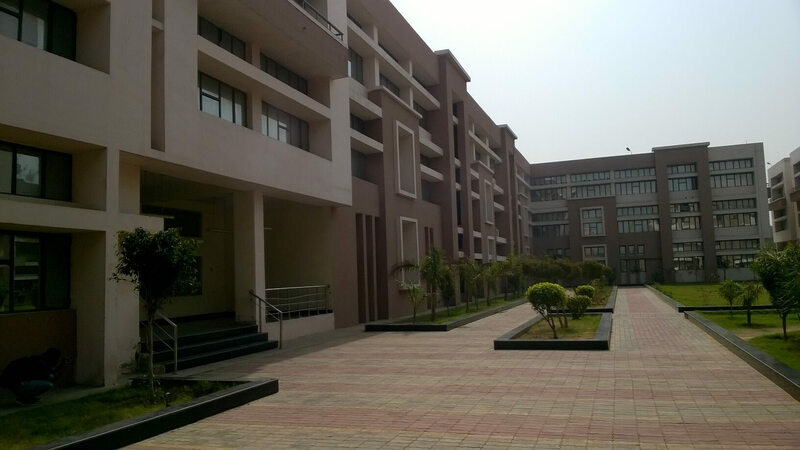 The Department of Computer Science & Engg. Department was established in the year 2005. The department offers B. Tech. & M. Tech. degrees. The Department started with an intake of 60 in B.Tech degree programme & 20 in M.Tech. (Software Engg.). The four-year B.Tech Program in Computer Science and Engineering is designed to provide students an overview of computing, an understanding of the concepts, principles and skills in their application and extension, and practical experience in applied computing. Special emphasis is laid on the fundamental principles underlying computing and on developing an understanding of the engineering considerations involved in computing system design, implementation and usage. To keep pace with the current technological trends, the Department has introduced a credit based postgraduate programme leading to M.Tech. in Computer Engineering in the year 2009. Ever since its establishment, the Department has always been on a high growth path and has experienced and dedicated faculty with a strong commitment to engineering education. Our students are exposed to up-to-date equipment, technology and techniques. We have well equipped laboratories with state-of-the-art facilities like Blade sever, servers, thin clients and desktops (from IBM, HP, HCL etc.). Induction of new courses from time to time enables the students to keep abreast of recent technological developments. Flexibility in curriculum is provided through Electives Seminars and Projects.